Read the DRS deepdive at Yellow Bricks. By default DRS recalculates every 5 minutes (including DPM recommendations), but it also does so when resource settings are changed (reservations, adding/removing hosts etc).For a full list of actions which trigger DRS calculations see Frank Denneman’s HA/DRS book. It’s perfectly possible to turn on DRS even though all prerequisite functionality isn’t enabled – for example if vMotion isn’t enabled you won’t be prompted (at least until you try to migrate a VM)! 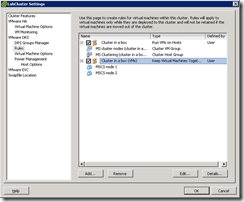 Create a rule pairing one VM group with one host group. Specify either affinity (keep together) or anti-affinity (keep apart). NOTE: The ‘Rules’ tab was available in v4.0, but the DRS Groups Manager tab is new in v4.1. 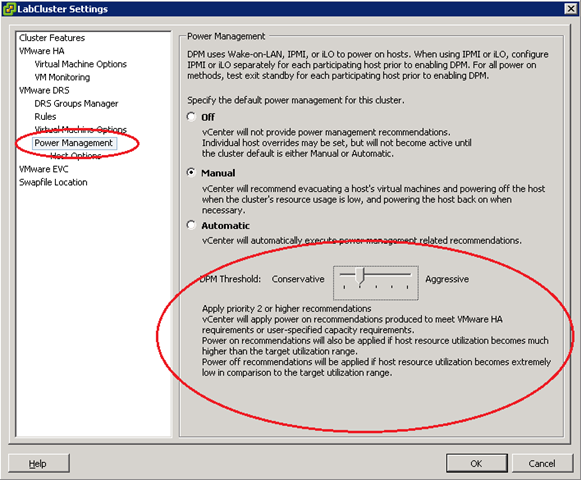 In v4.0 you could set VM-VM rules, it’s only the VM-Host rules which are new. NOTE: You only need vCenter v4.1 to get the new Host-VM affinity functionality – the hosts themselves can still be running v4.0. Use reservations sparingly – impacts slot size (see section 4.1 Complex HA for details of slot size algorithm). Size VMs appropriately – oversizing VMs can affect both slot size (if using reservations), free resources and the DRS load balancing algorithm. I’d have liked a way to get an email notification when a DRS or DPM recommendation was created (in Manual or Partial automation mode) but this doesn’t seem possible. Be careful when setting these that you’re setting is as you planned! WOL is supported (or not) by the network cards (although it also requires motherboard support). It allows a server to be ‘woken’ up by sending a ‘magic’ packet to the NIC, even when the server is powered off. See VMwareKB1003373 for details. 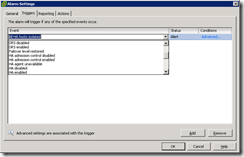 Largely unrelated tip – how to send a ‘magic packet’ using Powershell! If a server supports multiple protocols they are used in this order: IPMI, iLO, WOL. NOTE: Unfortunately you can’t use DPM with virtual ESX hosts as the E1000 driver (which is used with vESX) doesn’t support WOL functionality. This feature joins FT as a lab breaker! See this post from vinf.net. You’ll need Advanced licencing or higher to get DPM. 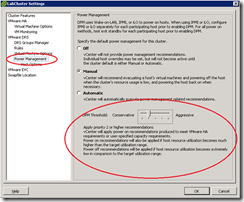 test that a host ‘wakes’ correctly from standby before enabling DPM. Test each host individually to ensure it’s able to ‘wake’ from Standby mode. Set DPM to disabled for any hosts that don’t support the wakeup protocols. Priority-one recommendations are the biggest improvement and priority-five the least. This is the opposite of the e similar looking DRS thresholds – see Jason Boche’s blogpost about DPM UI consistency for details. 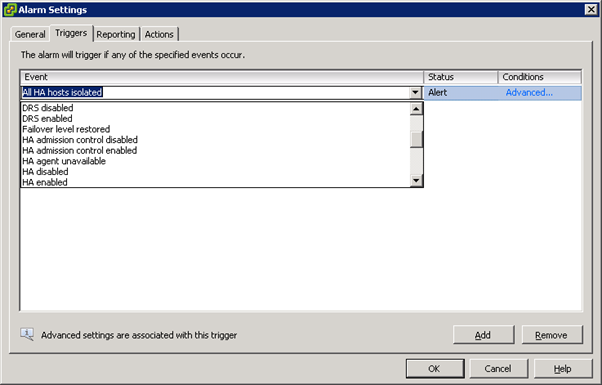 Define the default alarm for ‘Exit standby error’ so you can manually intervene if a host fails to return from standby. Using DPM means hosts will go offline frequently which makes monitoring host availability difficult as you can’t distinguish a genuine outage from a DPM initialised power down. 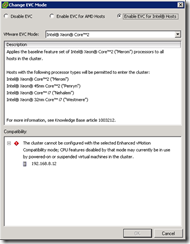 EVC increases vMotion compatibility by masking off CPU features which aren’t consistent across the cluster. 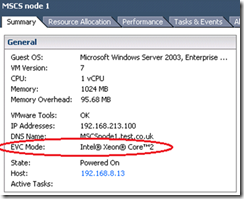 It’s enabled at cluster level and is disabled by default. 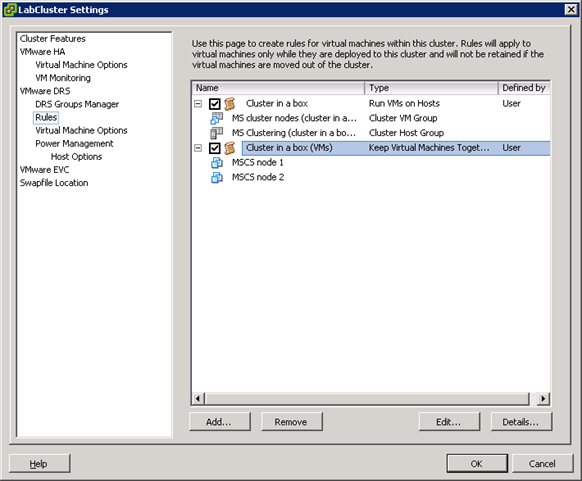 NOTE: EVC does NOT stop VMs from using faster CPU speeds or hardware virtualisation features that might be available on some hosts in the cluster. NOTE: EVC is required for FT to work with DRS. 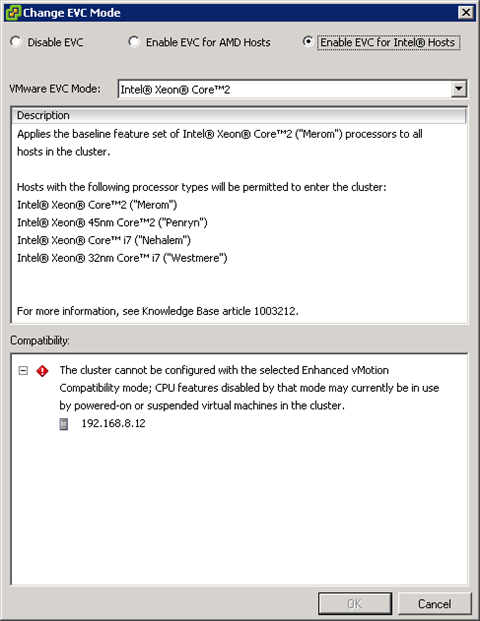 Hardware virtualisation must be enabled in the BIOS (if present). This is because EVC runs a check to ensure the processor has the features it thinks should be present in that model of CPU. NOTE: This includes having the ‘No Execute’ bit enabled. If the host has newer CPU features (compared to your EVC baseline) power off all VMs on the host. Add hosts to the cluster. You can change EVC to a higher baseline with no impact. VMs will not benefit from new CPU features until each VM has been power cycled (a reboot isn’t sufficient). An alternative approach is to create a new cluster, enable the correct EVC mode, and then move the hosts from the old cluster to the new cluster one at a time. Excellent prep post. Thanks for including me!